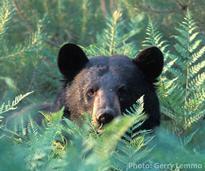 The Adirondacks may be known for the mountains, but what about the iconic wildlife? The region is home to some of the most beautiful creatures on earth, including the massive Moose, the iconic Bald Eagle, and even the gorgeous Great-Horned Owl! 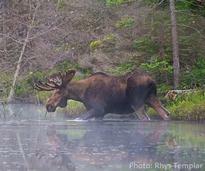 The moose is arguably the most iconic and majestic Adirondack animal. Despite its troubled history, the species has made a resurgence in recent years. The loon call is such a nostalgic sound, found throughout the Adirondacks. 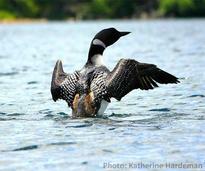 Check out the loon guide, featuring photos, information and even a video! The Adirondacks are home to beautiful animals, but not all animals are friendly. Learn more about some of the dangerous animals that reside in the ADKs and how to avoid bad encounters. While bald eagles are a rare sight, our Facebook Fans have captured some great shots of these majestic creatures. 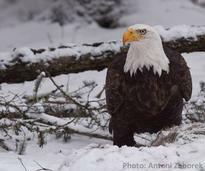 Learn more about the Adirondack Bald Eagle and where to spot them in the ADKs! 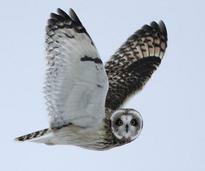 Photographer Eric Dresser shares some of magnificent photography of owls found in the Adirondacks! Check out these stunning photos, along with useful information about several breeds. Wolves disappeared from the Adirondacks for a long time due to habitat destruction and overhunting, but it has recently been discovered that they may be naturally repopulating the region! As wolves were driven out of the Adirondacks, coyotes stepped in to fill their niche. Today, there are thought to be around 14,500 breeding pairs of coyotes in New York State. Beavers were almost completely wiped out of the Adirondacks by the mid-1800's, but made a strong resurgence in the 1900's. Today, there are as many as 70,000 living in the region! Bird watching is a popular activity in the Adirondacks, especially in the spring. Learn about the different species that live here, and when and where to find them. Winter is a crucial survival period for birds in the Adirondacks, so it's important to know how to observe them in both a safe and legal manner. Peregrine falcons are one of the most fierce aerial predators and can reach speeds of up to 180 mph when pursuing prey, a rate rarely topped by any other bird. 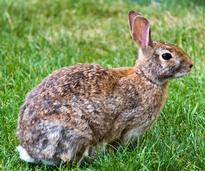 When humans leave food out, it can result in unwanted conflicts with animals. 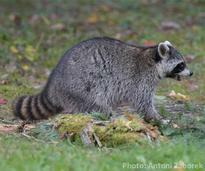 Learn how to avoid these and coexist happily with the wildlife in your area. 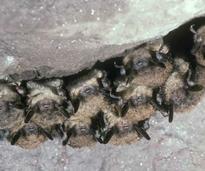 Little brown bats are the most common species of bat in the ADK, and they live in buildings/houses and hollow trees in summer and mines and caves in winter. Cougars nearly went extinct in the Adirondacks by the 1900's, but cougar sightings continued. Today, the small cougar population is considered an unsustainable one. Fishers have the ability to take down a porcupine, but their dietary habits make them omnivores. Thanks to conservation efforts, their population has risen. 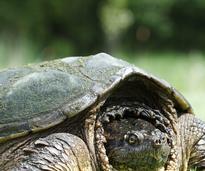 There are four species of turtles native to the Adirondack Park, and while two are widespread, the other two are uncommon. Although black bears are considered dangerous mammals in the Adirondacks, they are less of a threat if you know how to prevent and handle an encounter. Want to learn more about wildlife photography? Find out the 10 most recommended tips for wildlife photography and get started!